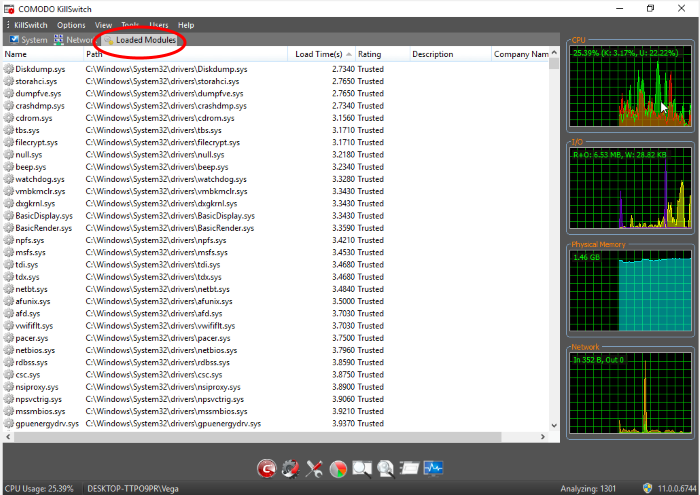 The Boot logger feature records all modules loaded when your system boots. 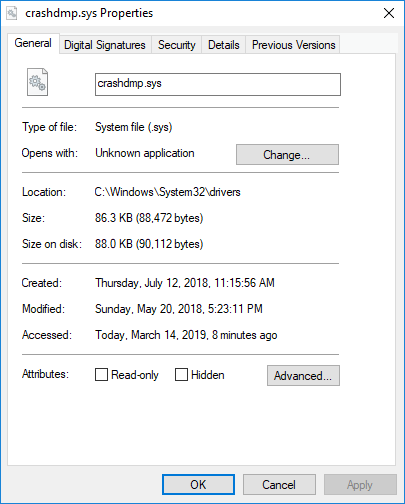 These include items like drivers, system files, DLLs, executables and so on. KillSwitch displays these modules in a new 'Loaded Modules' tab after your system has rebooted. 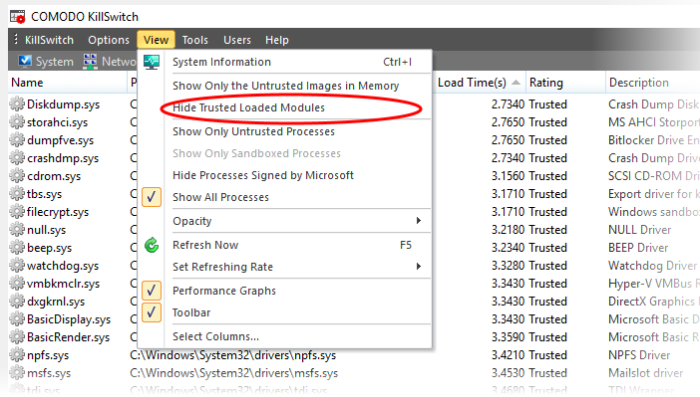 This functionality lets you check whether unsafe (or even just unwanted) modules are being loaded. In extreme cases, it will allow you to detect and delete malicious boot items installed by spyware, key loggers, rootkits or other malware. KillSwitch will request a restart of your computer to log all the modules that are loaded during the next re-boot. Save all your work and click 'Yes'. Your system will re-start. Upon restart, KillSwitch will be started automatically and show all the loaded modules loaded to your system. The title of the module. Click the column header to sort the entries in alphabetical order of the module names. The storage location of the module. The time taken for loading the module. The result of scanning performed by KillSwitch on the module. Modules that are rated as false positive, unsafe or unknown are highlighted for easy identification. A brief information of the module. The vendor of the module. Tip: Click any of the column header to sort the list in alphabetical/numerical order of the entries in it. You can view properties of or remove loaded module by right clicking on it and selecting the required option from the context sensitive menu. Delete - Removes the Module from your system. This ensures that the module is not loaded to your system from the next boot onwards. Open Containing Folder - Еhe location having the module in windows explorer. Properties... - The attributes dialog of the selected Module. Submitted files will be analyzed by experts and added to the global white list or black list accordingly.